Anna L. (Verse) Matthews, 84, was born in Fort Worth, Texas, June 27, 1934, to Harvey Verse. and Annie Mae Warren. She was raised in Fort Worth and was a proud graduate of I.M. Terrell High School. She met the love of her life, Willie Earl Matthews while working at a segregated cafeteria, Wyatt’s Cafeteria. They were married on December 10, 1956. Willie Joined the navy and Anna Lois moved to San Francisco to be closer to him when he was on leave. After Willie was discharged he left the navy and joined Anna Lois in San Francisco. Their union was blessed with the birth of 3 children. After moving to San Francisco Anna joined the Providence Baptist Church. She was a faithful and proud member for over 50 years. She became President of the Sunday School Department and won many awards and accolades. She raised their three children and in 1967 started as a volunteer for the San Francisco Unified School District. A few years later she was hired as a para-professional and then became a parent liaison. 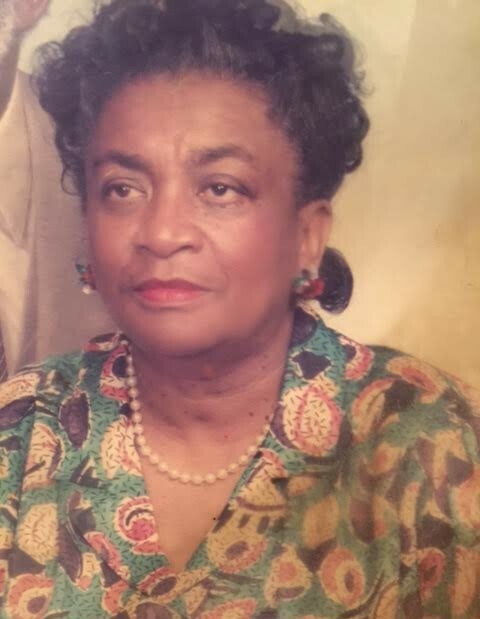 She served the students of San Francisco mostly at Glen Park Elementary and Sanchez Elementary for over 29 years. After her retirement in 1998, She took ill. Anna Lois Matthews passed away on January 10, 2019. She was preceded in death by her husband of 62 years Willie E. Matthews, San Francisco, California. Sister Jewel Daniels, San Francisco, California and Brothers in Law: Charles Matthews, Aurora, Colorado and Hillary Huddleston, Fort Worth, Texas. She is survived by her Sisters: Doris Tipton, Los Angeles, and Tommy Childress, Fort Worth. Brother in Law: Gary Matthews, Wyomissing, Pennsylvania. Daughters: Wilhelmina McFarland, San Francisco, Edith Jones Matthews, San Francisco. Son: Vincent Matthews, Hercules, California. Granddaughters: Aisha Waller, Vallejo, Arianna Brown, El Sobrante, and Alicia McFarland, Vallejo. Grandsons: Aaron Matthews, Hercules, Asante Williams, Vallejo, Robert Daniels, San Francisco and Anthony Matthews, Hercules. Five great-grandchildren and several generations of nieces, nephews, relatives, and scores of friends.